Wallis is managing editor of the journal Socialism and Democracy and just wrote the piece “On the Stealing of U.S. Elections,” which states: “The theft of elections is typically thought of as referring to corruption of the voting process. This is indeed a major issue, but it is only the culmination of a much broader set of restrictions on the power of citizens to choose their leaders. “An extraordinary feature of the U.S. electoral process is that the two dominant parties collude to dictate — via their own bipartisan ‘commission’ — who is allowed to participate in the officially recognized presidential debates. Needless to say, the two parties set impossible barriers to the participation of any candidates other than their own. Most potential voters are thereby prevented from acquainting themselves with alternatives to the dominant consensus. 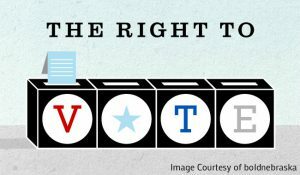 “Another distinctive U.S. trait is the absence of any constitutional guarantee of the right to vote. Instead, a multiplicity of state laws govern voter-eligibility, as well as ballot-access. A few states set ballot-access requirements so high as to effectively disqualify their residents from supporting otherwise viable national candidacies. As for voter-eligibility, it is deliberately narrowed through the time-honored practice of using ‘states’ rights’ to impose racist agendas. Most states deny voting rights to ex-convicts, a practice that currently disenfranchises some six million citizens, disproportionately from communities of color. More recently, targeting the same constituencies, many states have passed onerous and unnecessary voter-ID laws.